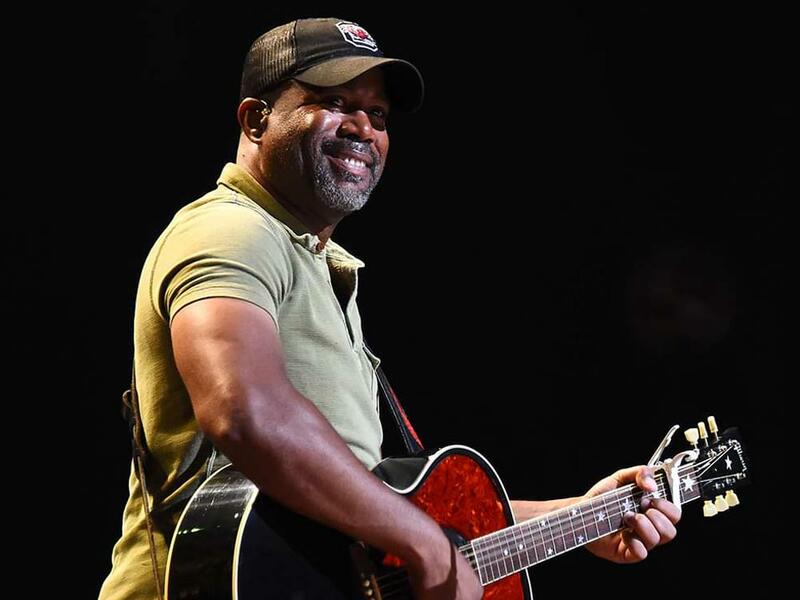 Darius Rucker is hoping his hot streak continues with the release of his new single, “Straight to Hell.” The tune follows back-to-back No. 1 singles, “If I Told You” and “For the First Time,” from his 2017 album, When Was the Last Time. Darius enlisted the help of a few of his A-list friends—Luke Bryan, Jason Aldean and Lady Antebellum’s Charles Kelley—to provide vocals on “Straight to Hell,” a Drivin’ N Cryin’ cover from the late ’80s. For the new video, Darius, Jason, Luke and Charles engage in a little speakeasy debauchery, including drinking, cheating at cards and robbing the till.